“Cars make me an individual”. Yes, people will drive a car they believe will enhance their image, but that statement is true for every visible action we accomplish as a customer: that is the real reason why we are not driving the cheapest car around, but also wear more or less expensive clothes which we believe express our personality as well, and I am not sure that is because we are brainwashed by ads. 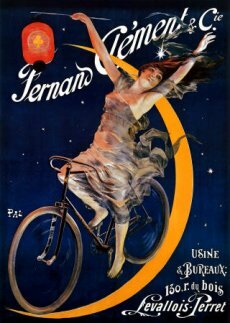 how to attract those “image conscious” people to cycling? could it be with the ad campaign recently ran in Vancouver? 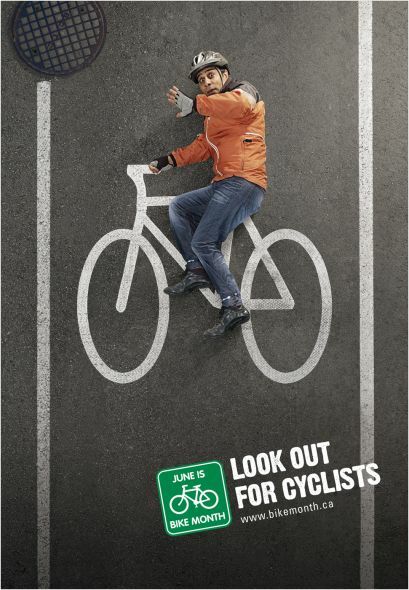 An ad for the bike month campaign in Vancouver, June 2010: Is it really the cyclist image you would like to be associated with? The counter-productivity of such campaigns, is well recognized by some studies , recommending instead to promote cycling by putting a positive spin on it and foremost on the bike users themselves. 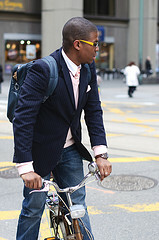 That could be the aim of the chic cyclists movement which seems to address the concerns of the image conscious people, by letting them know: you don’t need to wear a sci-fi helmet and lycra outfit, to bike: Your every day dress are right enough…and, stylish and fashion they can be. The movement started with Copenhagen Cycle chic initiated by Mikael Colville-Andersen, which got an echo on the blog of the VancouverSun columnist, Tod Douglas , seems to have found an audience. Toronto, is in the wheel, with Toronto Bike Chic or 416cyclestyle, while Paris, city where its finest hotels provide complimentary bikes , has eventually been credited by nothing else than a full book on the topic . New York City’s efforts to promote cycling, has even been complimented by luxury brand LVMH which has involved students at the Fashion Institute of Technology in a bike in style challenge . While that could be a departure of the cycle chic movement manifesto, it is also a departure of the biking seen only for the wanna-be athlete and other treehugger people. 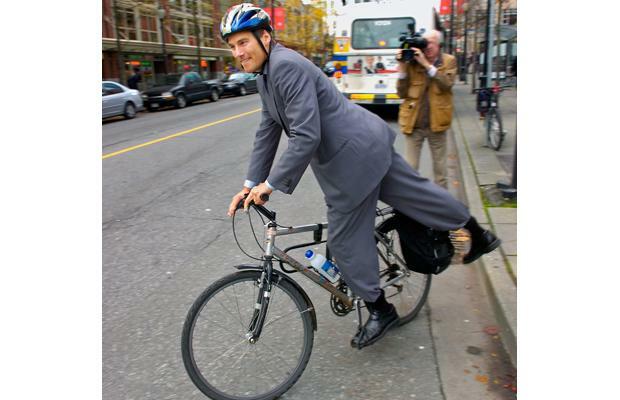 Vancouver Mayor, Gregor Robertson, is biking a cycle apparently without bell and with footstrapped pedal: eventually an unsafe proposition in a urban environment: could it be the reason why this BC cyclist needs an helmet? 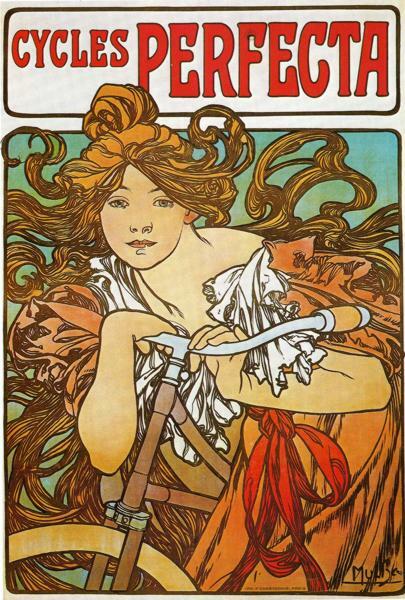 Not unlike a century ago, the “cycle chic” movement doesn’t promote cycling by triggering an ecologic sensitive cord, neither explain it make financially sense or it is good for you health, but because it is good for your image: elegance, seduction and desire elements become core of the message…it is something the car advertiser already knews. Danish Women on bikes, Todd Douglas, Feb 2, 2010.
 it is noticably the case of the Plaza Athénée. 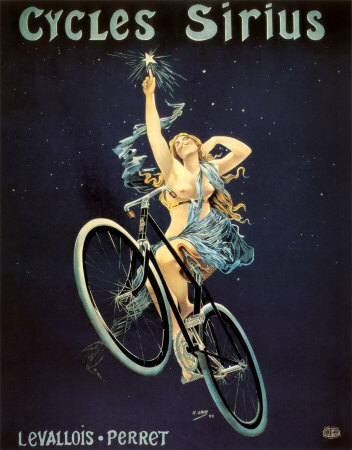 While, numerous hotel in Vancouver offer similar service like the Fairmont hotel, some other like the Wedgwood hotel seems to see biking only as an exercise, to practice preferably in the comfort of their fitness room, and have consequently a different take on cycling.